It was quite unexpected: I was contacted a couple of months ago by David Cleall who told me he was writing the history of Soapbox Theatre for a website called www.unfinishedhistories.com Today I received a communication from him to say the page about Soapbox was published. 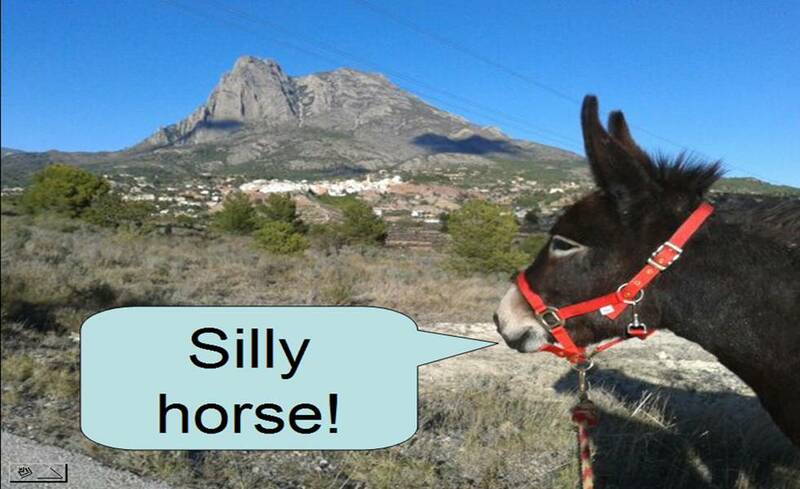 This blog has always been about a life with donkeys here in Spain, and since 2010 for reasons which have been very clear to all who followed the beginning of this journey, I have wanted very little to do with England. It was very good to suddenly be reconnected with this history from forty years ago. Somehow, that was a reminder of a more vibrant and creative England, as it still was in the 1970s. As recorded in the story of Soapbox Theatre, after several one act comedies, I wrote The Sensational National Emergency Crisis General Election Show in 1979, a satire directly addressing the threats posed by the Conservative party at that time. We were trying to show up the dangers posed by the extreme right (including the National Front in those days). The election produced the Thatcher government which gave us social strife and eventually a war which killed over two hundred British troops in the Falklands. Looking back forty years from 2017 it seems like a strangely remote world, and yet we are happily walking into all the same mistakes again. Thanks to Alys and Jackie too for coming up with the bits and pieces of archive material we had, passed to David Cleall. Sorry to hear Matt died in 2013. Greetings to Jenny after all these years! Soapbox was great fun: art without pretensions. Note: There are no surviving photos of the Stage One venue in Newham, at least none I can find from those pre-internet days; but the Half Moon Theatre (illustrated in contemporary pics above) was one venue we performed in.